Romney wants to expand an Arizona immigration law that forces employers to use E-Verify to check the identities of new workers. 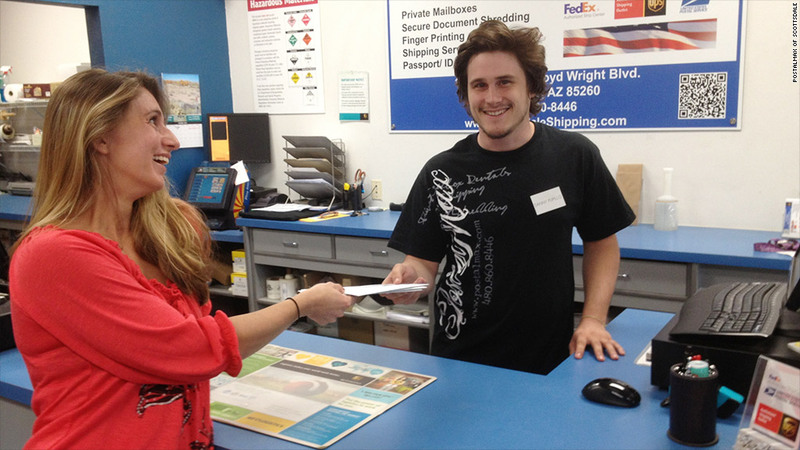 But companies like PostMax of Scottsdale, Ariz., don't want the extra paperwork. Mitt Romney promises less regulation on small businesses, but the immigration plan he supports would add an extra step to the hiring process. Romney has said the nation should follow immigration rules like those in Arizona, where companies are forced to use a federal government program called E-Verify. Business owners are required to check the legal status of all new workers against Social Security and immigration records. It's an added responsibility that some businesses don't want or think necessary. And to many in Arizona, it's one they outright ignore. Of all new hires in Arizona, nearly a third don't get vetted by E-Verify, according to a review of federal records by CNNMoney. There were 1.45 million people hired in Arizona during fiscal year 2011, and only 982,593 were checked with E-Verify, according to data from the U.S. Census and the Department of Homeland Security. "I've got too many other things to do," said Linda O'Brine, who does most of the paperwork at her husband's landscaping business in Tucson, Ariz. "The government is always pushing us to do this, do that. We already check our employees' driver's licenses. What's the sense in having us do one more step?" The O'Brines adamantly oppose illegal immigration, but they also don't want another layer of rules controlling the hiring process. Michael E. Castillo, who owns a PostalMax shipping store outside Phoenix, also opposes mandatory E-Verify rules even though he hasn't hired anyone in recent years and hasn't had to use the program. "It's another hindrance -- it takes me away from doing what we do best," Castillo said. "Small business has a very good handle on who they hire." Arizona is one of 18 states that require E-Verify to some extent, according to NumbersUSA, an anti-immigration group. Alabama, Mississippi and South Carolina require it for all hiring, while most other states only require E-Verify for state agencies or government contractors. Minnesota and Rhode Island have repealed similar legislation, while California and Illinois have banned it. There's widespread disagreement about the benefits of making E-Verify mandatory. Critics, like the libertarian think tank Cato Institute, warn that legal workers are sometimes falsely flagged by the system. Of the 16.6 million who went through E-Verify during fiscal year 2011, more than 46,000 were incorrectly flagged and had to contest the results, according to U.S. Citizenship and Immigration Services. Research firm Westat has found that naturalized citizens are 30 times more likely to face an error than native-born citizens. A second concern is that E-Verify won't always catch fraud. That means employers could use it as a precaution but still end up hiring an undocumented immigrant. That worried business owners in Springfield, Mo., where voters had approved a local ordinance making E-Verify mandatory and threatening to take away business licenses of those caught hiring illegally. Several entrepreneurs joined architect John Oke-Thomas and successfully sued to block the law. 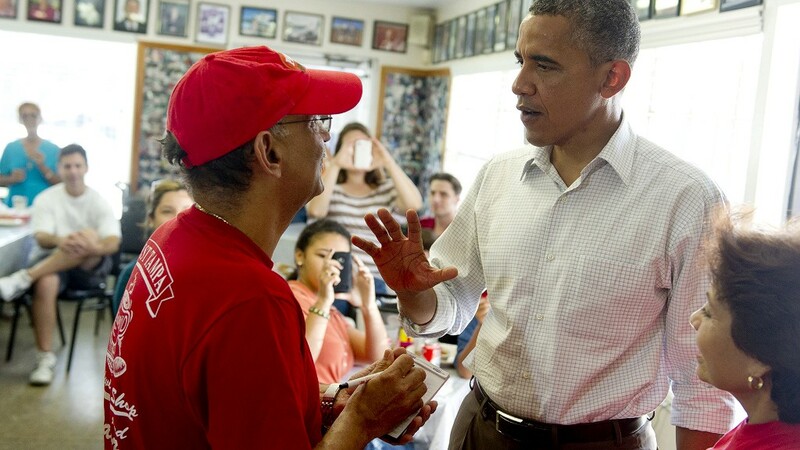 "I am opposed to illegal workers taking job opportunities from American citizens. But this punishes Springfield businesses with more government regulations," Oke-Thomas said of the city's rule. When asked about bringing the Arizona model nationwide, the Romney campaign did not respond to requests for comment. But the Republican candidate could find support from those businesses that have tried E-Verify and find the burden minimal compared to the increased confidence that employees are who they say they are. That's the case for management at eegee's, a Tucson-area restaurant. "It gives us a little bit more security that the documents we've looked at are real," said Rick Maes, training and development coordinator at eegee's. The process is relatively quick, Maes said, taking about two minutes. But he conceded that a typical small business probably wouldn't get the process streamlined the way eegee's has.